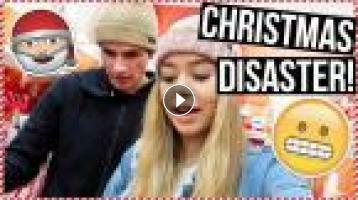 ﻿ Christmas Disaster In Target! VLOGMAS Day 15! Christmas Disaster In Target! VLOGMAS Day 15! YAY New Vlog! Christmas Disaster In Target! VLOGMAS Day 47! MERRY CHRISTMAS EVERYONE! Vlogmas Day 24! COME CHRISTMAS PRESENT SHOPPING WITH ME! VLOGMAS DAY 7! COME CHRISTMAS DECOR SHOPPING WITH US! VLOGMAS DAY 18! BEING CUTE AF AT A CHRISTMAS TREE FARM! VLOGMAS DAY 3! Christmas Day Outfit Shopping! Vlogmas Day 23! DECORATING OUR HOUSE FOR CHRISTMAS! VLOGMAS DAY 4! Target Christmas Haul! VLOGMAS Day 2! DECORATING OUR CHRISTMAS TREE! VLOGMAS DAY 1! CHRISTMAS CAME EARLY! VLOGMAS DAY 17! Last Minute Christmas Eve Shopping! VLOGMAS Day 24! Christmas Isn't The Same... VLOGMAS Day 25! Christmas Came Early! VlOGMAS Day 16! WRAPPING CHRISTMAS GIFTS! VLOGMAS DAY 24! CHRISTMAS SHOPPING! VLOGMAS DAY 15!